November 16-22, 2014 will be one of the most powerful weeks of the year in Tennessee. These 6 days have been designated as Tennessee Agriculture Literacy Week. This will be an outstanding opportunity for farmers and ranchers and other agriculture industry representatives to read children’s books about the agriculture industry to school students. Volunteers are needed to visit elementary school classrooms around the state to read agriculturally themed books and talk about the importance of Tennessee Agriculture. 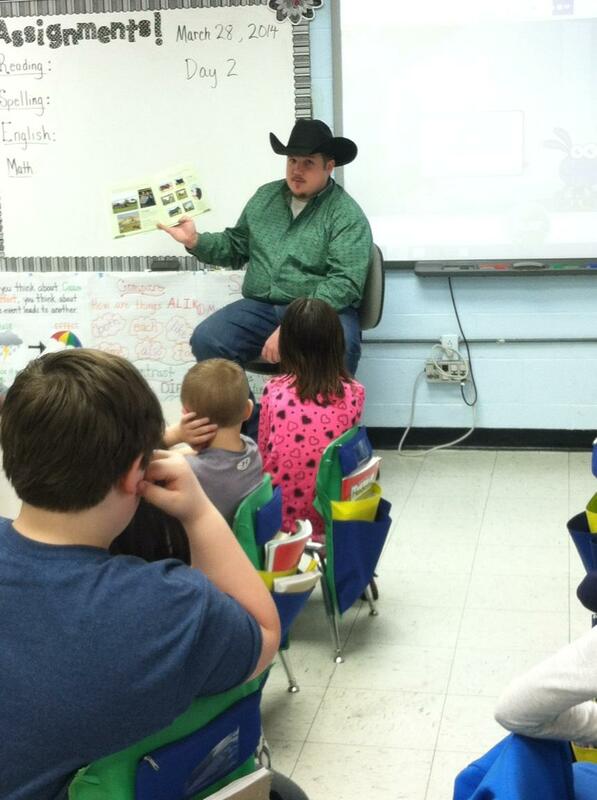 The Tennessee Beef Council would like to encourage the state’s cattlemen and women to get involved by participating in, “Cowboy in the Classroom.” This takes part during TN Agriculture Literacy Week and will be focused on the book called: Beef Cattle in the Story of Agriculture. 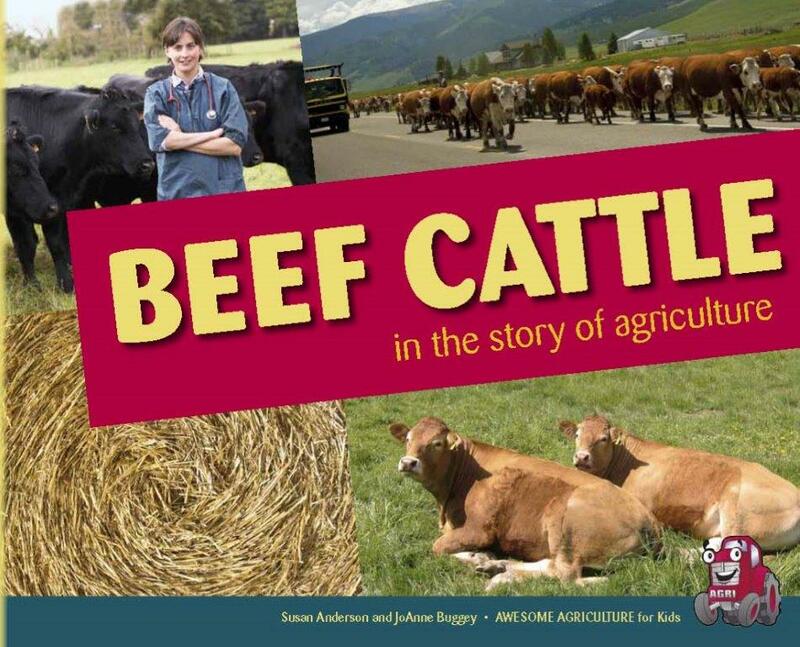 Volunteers will read this book to students and also, if desired, will have activity books for the kids to learn more about the beef community of Tennessee. Those interested in volunteering should contact Halee Gregory: hgregory@beefup.org. Volunteers should schedule their classroom visits with schools at least two weeks before their readings. All readings should be completed by November 22, 2014. All volunteers are encouraged to complete the Tennessee Agriculture Literacy Week report by December 31, 2014 (report www.TennesseeAg.org). To learn more about the Agricultural Literacy Library, please contact Lou Nave, 615/970-8065 or Lou.Facct@gmail.com. Picture this: It’s a cozy Tennessee fall evening. 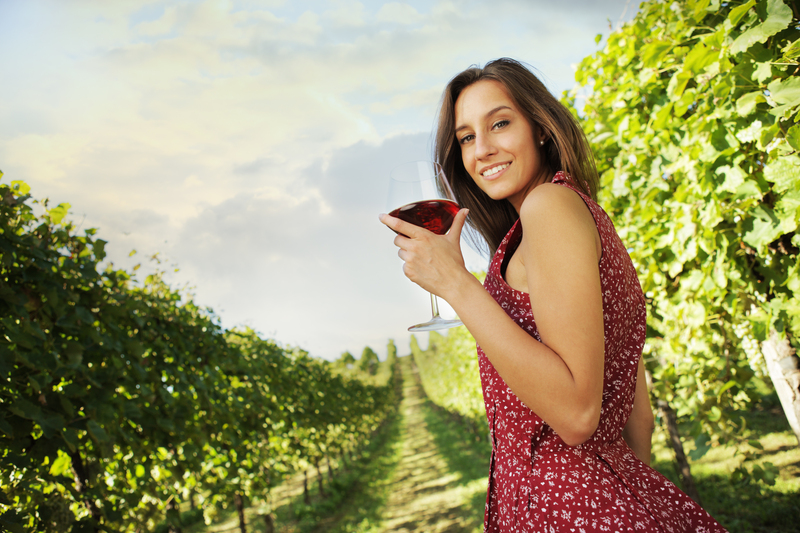 You are strolling through one of Tennessee’s most beautiful vineyards, glass of wine in hand and listening to the strumming of a guitar. Along your walk, you are able to sample several bowls of warm, hearty chili and chat with new friends. This evening can be yours if you attend our LIVE Chili Cook Off event on November 7. Join the Tennessee Beef Industry Council for the first annual LIVE Chili Cook Off on November 7 at Arrington Vineyards, in partnership with Nashville Lifestyles magazine. Chili sampling will begin at 6:15 p.m.
Five pre-selected contestants will cook their amazing chili recipes to compete for the title of “Nashville’s Best Chili.” The public is encouraged to attend this free event, sample the chili and vote for their favorite. One contestant will be awarded with the “People’s Choice” award and one will be named winner of the cook off. This winner will be picked by a panel of celebrity judges and receive a great prize package. They’ll also be featured in Nashville Lifestyles magazine. 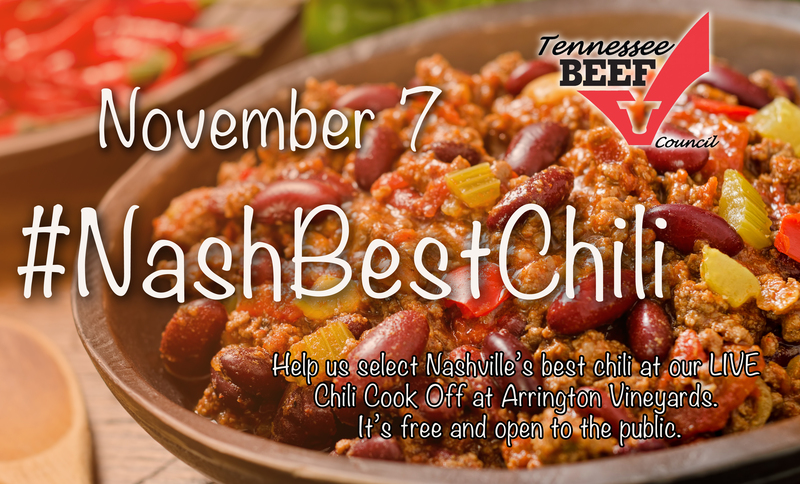 Please use #NashBestChili in your social media posts. If you have questions, please direct them to Janna Sullivan with the Tennessee Beef Industry Council: jsullivan@beefup.org. Registration for the 2015 Cattle Industry Convention and National Cattlemen’s Beef Association Trade Show is underway. 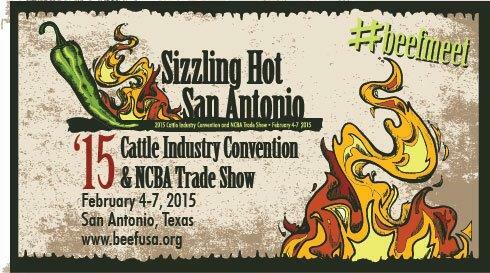 The 117th Annual Convention will be held in San Antonio, TX Feb. 4-7, 2015. Advanced registration is open until Jan. 10, 2015. Convention participants will hear from industry leaders, gather insight on industry trends, and enjoy an evening at the Cowboy Comedy Club & Mustache Bash After-Party. NCBA President Bob McCan said this convention is a must for everyone involved in the cattle industry. In addition to access to all the 2015 convention events, registrants for the full convention will receive a 50 percent off coupon for Roper and Stetson apparel and footwear at the NCBA Trade Show. To register for the 2015 Cattle Industry Convention and Trade Show, visit http://www.beefusa.org or email meetings@beef.org. Follow NCBA on Facebook and join the conversation on Twitter at #beefmeet. We are pleased to share that Farmland, the documentary from Academy Award®-winning director James Moll, has made its streaming debut on Hulu! For this month, the documentary will be available exclusively on Hulu, providing you the opportunity to stream the film using several devices, including connected TVs, Blu-Ray players, gaming consoles, computers, tablets and mobile devices. Farmland is a documentary about agriculture in the US that was funded by the U.S. Farmers and Ranchers Alliance. Six farmers and ranchers from across the country describe their experiences of and views on modern agriculture. The goal of the film is to bridge the gap between food growers and food consumers by presenting farmers’ and ranchers’ perspectives on producing food. The film aims to do this by focusing on the lives of six farmers in their 20s. They each show and explain what it is like to farm and ranch with modern agriculture practices…expressing their views on controversial topics such as genetically modified crops, the use of antibiotics in animal feeds, and the treatment of animals. Hulu.com, via a personal computer. Completely free, but does feature ads. Hulu Plus, the site’s subscription-based service, is the method to access content when streaming from a mobile device, such as a phone or tablet. Features limited advertising. You can also check out the official trailer for the feature length documentary at farmlandfilm.com. 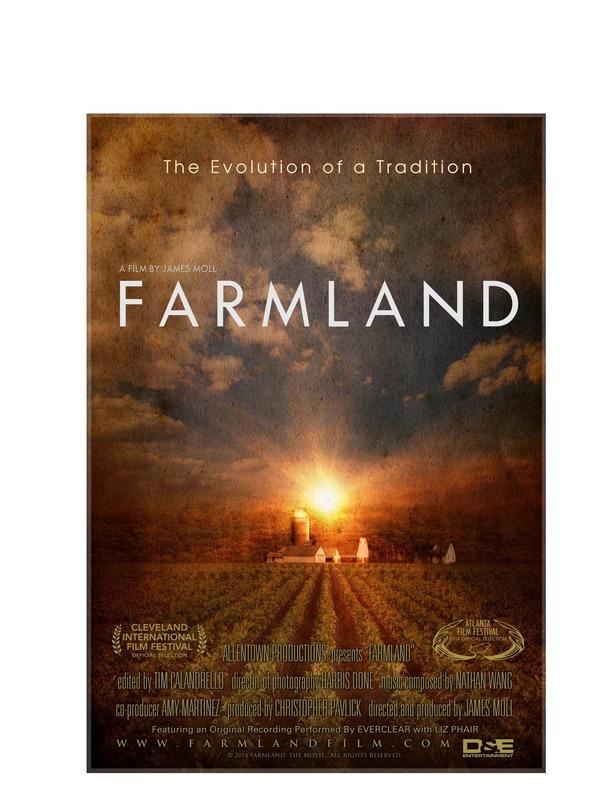 Produced by Moll’s Allentown Productions, Farmland was shown in more than 170 theaters across the country, and secured reviews in several national mediums and recognition in film festivals across the country, including Atlanta, Cleveland and Newport Beach, Calif. The film also earned a 92 percent audience rating on RottenTomatoes.com. 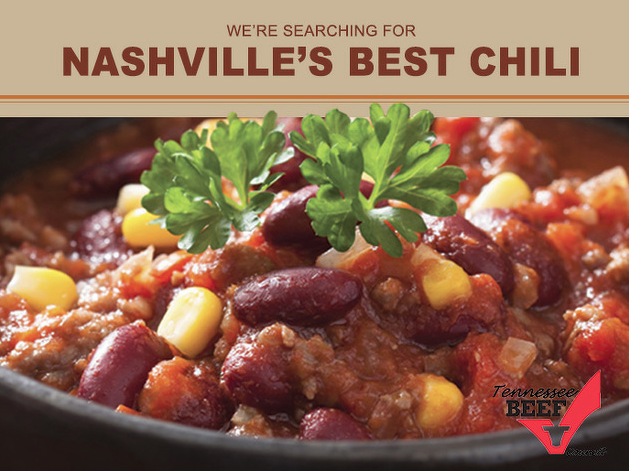 The Tennessee Beef Council (TBIC) has teamed up with Nashville Lifestyles magazine and Arrington Vineyards in the search for Nashville’s Best Chili! Do you think you have a winner? Share your secret chili recipe with us (we promise not to give it away!). TBIC will select five of the top recipes to compete in a live cook-off at Arrington Vineyards on November 7. The winners will be featured in the pages of Nashville Lifestyles magazine and also receive a prize package, sponsored by TBIC. Deadline to enter is October 21, 2014. You must use beef in your recipe. To enter the contest, click here. This week, the National Cattlemen’s Beef Association kicked off the 2015 Fall Membership Drive. NCBA president and Victoria, Texas, cattleman Bob McCan says there has rarely been a more important time for producers to be involved. NCBA is urging more cattle producers to join this fight and engage in these issues that are critical to the future viability of our industry. Your NCBA membership not only helps support our efforts in Washington, D.C., but comes with great benefits including discounts from RAM, New Holland Agriculture, Roper/Stetson, John Deere, Cabela’s and Caterpillar. You will also receive a subscription to National Cattlemen and updates from Washington. Join today and as a new member you will receive a one liter bottle of Dectomax® pour-on from Zoetis. 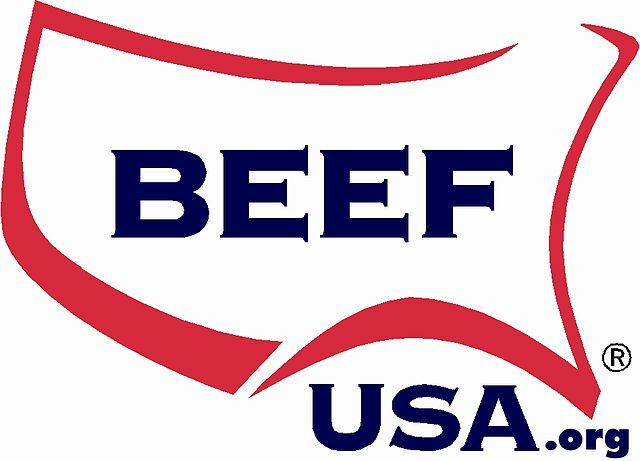 For complete information and to join visit www.beefusa.org or call 1-866-BEEFUSA (1-866-233-3872). Is your business getting enough attention? If your answer is no, consider advertising with the Tennessee Cattlemen’s Association in our Tennessee Cattle Business magazine. TCB is the official publication for the Tennessee Cattlemen’s Association, and is part of the membership package. It is mailed to members on the first of each month. Some information included monthly are articles on concerns of the cattle producer in Tennessee, as well as timely information on national production of beef. There are updates from TCA staff and leadership and features on beef promotion, youth, and Tennessee producers. This vibrant magazine offers your business an excellent opportunity to reach all segments of the cattle business here in Tennessee. We distribute our magazine to over 6,000 members in the state. Your continued advertising will make a strong impact on this potential customer base. No where in Tennessee can you get the combination of purebred and commercial coverage that Tennessee Cattle Business has to offer. Please contact Lauren Chase for local ad sales at Lauren@tncattle.org or (615) 896-2333. Your advertisement must be submitted to by the 15th of the month. Are you a national advertiser? 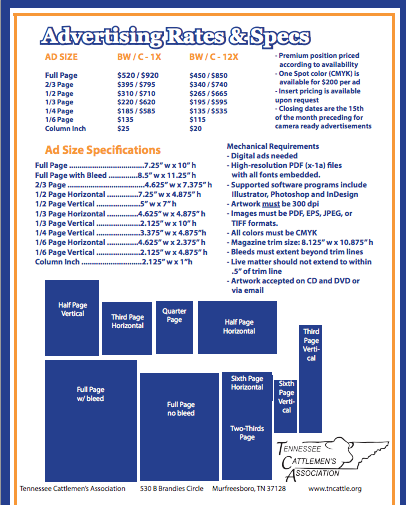 Please visit this link for our national ad rates and information. 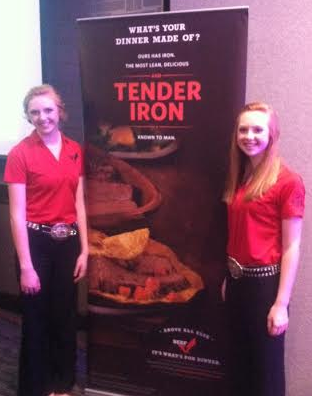 Claire (left) and Kendall Garrell at the National Beef Ambassador Competition. The state of Tennessee was well-represented at the 2015 National Beef Ambassador Contest in Denver last weekend. Sisters Claire and Kendall Garrell of Petersburg competed for a position on the senior and junior national team. Claire currently holds the title of the Senior Tennessee Beef Ambassador, which made her eligible to compete for one of five spots on the national team. Kendall competed for the junior position. Although the junior title is slightly different than the senior title, both ladies participated in their respective age group’s categories during Saturday’s competition. These included: consumer demonstration, issue response and education & outreach projects. Claire also showcased her interview skills in the media category. Scores were combined and compared to the other states’ representatives to select the team. Although Claire and Kendall didn’t make it, the cattlemen and women are still very proud of them for representing the beef industry in the state of Tennessee and in their travels to Denver. They have worked very hard to educate consumers about beef and producing cattle through classroom presentations, social media campaigns and conversations in their daily lives. This competition also marked the end of Rachael Wolters time on the National team. Rachael, from Culleoka, earned a spot last year and has been traveling the country with four other beef ambassadors. They have had many positive interactions with consumers, educating them on how beef is produced, beef’s nutritional value, and much more. Madison Martin of Madisonville was also in attendance as a team leader. She hopes to compete for the senior title in a few years. Lauren Chase, Director of Communications for the Tennessee Cattlemen’s Association and Tennessee Beef Industry Council, was also there as a judge of two categories: issue response and education & outreach. We would like to thank the American National CattleWomen, the Beef Checkoff, the Tennessee Beef Industry Council and the Tennessee Cattlemen’s Association’s leadership for providing this unique opportunity for our youth in the cattle industry. There were many sponsors of the Beef Ambassador and competition that deserve a big round of applause. 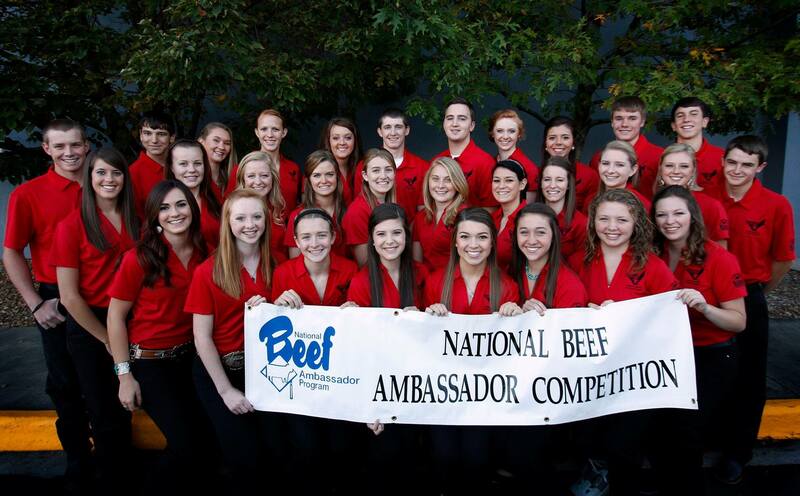 The 2015 National Beef Ambassador Competition Contestants. If you are a high school or college student in Tennessee and are interested in becoming a beef ambassador, please get in touch with Janna Sullivan at the Tennessee Beef Industry Council: jsullivan@beefup.org. 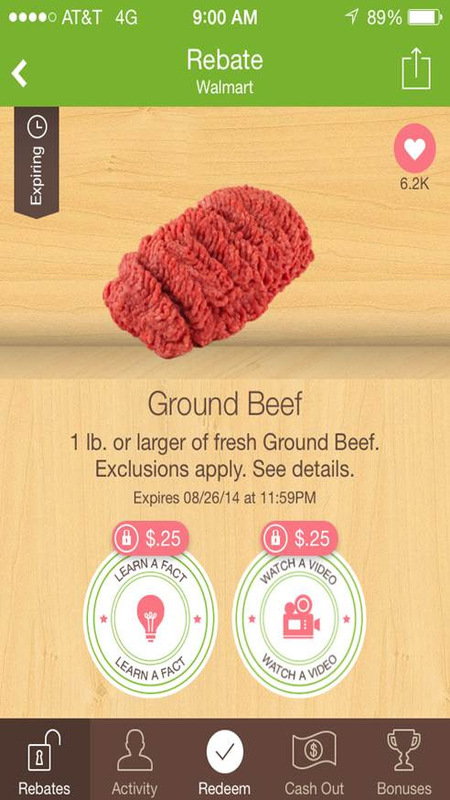 In cooperation with Ibotta, the 16th most frequently used app in the United States, the beef checkoff recently encouraged customers at two national retailers to choose beef at the meat case. Ibotta shared educational information about freezing beef and about beef nutrition, in addition to sharing the checkoff’s Easy Lean Beef Burger and DIY Taco videos. By engaging with the content, Ibotta users earned a cash rebate for their purchase of Top Sirloin Steak or Ground Beef. Ibotta, a Denver-based mobile technology company aims to transform the way companies and retailers think about and execute mobile media and advertising campaigns in conjunction with brand loyalty development. With a one-of-a-kind user experience, the world’s leading brands and retailers continue to make Ibotta a key pillar of their digital programs and in-store growth strategies. With over two billion rebates viewed, 70 million completed brand interactions, and more than $11 million in cash rewards earned by users to date, Ibotta continues to drive brand messaging tracked to direct item level purchases for both in-store and online transactions.